Valentine's Day will not affect the call center hours or ticket start times in any way, we just wanted to spread the love here at GSOC! Happy New Year from all of us at Gopher State One Call (GSOC). We had a great year in 2018 helping Minnesotans excavate safely. 2019 brings updates for our organization, including a brand-new logo! GSOC is pleased to introduce our new look, while providing the same reliable damage prevention services. As we enter this new year, let’s review some safe excavation reminders! 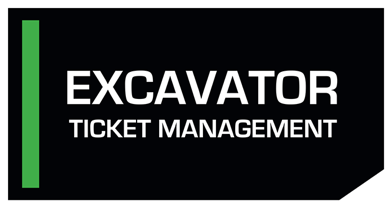 Gopher State One Call (GSOC) is pleased to offer a helpful tool named Excavator Ticket Management (ETM), a web-based portal that excavators can use to efficiently manage their locate request database. ETM provides a single repository for all tickets associated with a specific company phone number and displays them online for easy access. Click on the “Go to ETM” button here. The safe excavation process involves varying efforts from all stakeholders. Gopher State One Call (GSOC) is the notification system established to act as a communication link between facility operators, homeowners, and professional excavators in the State of Minnesota. GSOC is responsible for collecting information from anyone planning to excavate who files a locate request. We then transmit this information to affected facility operators who may have underground utilities in/near the proposed excavation site. Keep reading to learn more about what GSOC does and doesn’t do in the safe excavation process!